An overview, synopsis, and evaluation of each issue. A variety of articles and columns concerning Earth's Mightiest Heroes. Reviews of Avengers-related comics, storylines, books, novels, and etc. A comprehensive, chronological listing of Marvel Comics issues featuring the Avengers or Avengers members, from the very beginning. In-depth examinations of series other than the main AVENGERS book; includes characters, summaries, and analysis. Synopses and Story Summaries of the best of AVENGERS over the years, from that fateful first encounter with Loki to Ultron, Kang, and beyond. Great AVENGERS crossovers over the years, with issue numbers and recommendations. A compilation of all writers and artists who have worked on Avengers over the years, with issue numbers. A compilation of all the pencillers who have worked on Avengers over the years, with issue numbers. 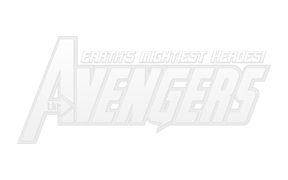 Avengers appearances in WHAT IF? A look at this run of Avengers re-prints; perhaps overlooked at the time, but now beloved by most true fans. The Avengers Assemble! Site is proud to host the collected lists of the late Jason Rivera, noted Avengers fan/expert and contributor to AOL's Avengers boards. Ranked in order of quality by vote of the Avengers Mailing List. Contributed by the Jarvis-Heads, the Avengers Mailing List members, and others. A comprehensive look at the many and various pictures in the top-left-corner boxes of every issue of AVENGERS. An overview of Earth's Mightiest poseable collectibles. The previous edition of this feature. Kurt Busiek's original script for MARVELS #2, direct from the man himself! More fabulous files from that master of all things Avengers (and comics-related in general), Sean McQuaid! MARVEL CONTEST OF CHAMPIONS (1982) Overview and "where are they now?" Updated Contest of Champions "Where are They Now?" for 2006! The Vision auditions Marvel's redheads to replace Wanda. A look at the women of AVENGERS and THUNDERBOLTS! Carol Danvers: Think she has it rough in the pages of AVENGERS? Sean's satire presents a humorous yet penetrating look at the predicaments of Ms. Marvel/Warbird. Byrne, Baby, Byrne: Sean analyzes controversial writer/artist John Byrne's run on AVENGERS. Sean offers commentary and synopses of Simonson's first run, from 291-300. Sean evaluates Byrne's run, issue by issue, from 305-318. Sean looks at Byrne's stay with the West Coast Avengers, from 37-44. Sean covers AWC 46-62 in detail, issue by issue.